Every dollar you donate helps our nonprofit organization deliver on its mission to inspire happiness, well-being, and service to others through stories and experiences. The Carousel has served the Nederland community and visitors from around the world since 2010, providing almost 1 million rides and inspiring at least that many smiles. We think happiness is important and we believe every smile here turns into countless more beyond our doors. The Carousel of Happiness continues to grow its programming to better engage with visitors and promote this mission — and we need your help! Every dollar donated also contributes to the Carousel’s long-term sustainability, including developing a reserve fund for maintenance and repair of our century-old antique carousel and band organ. Thank you for your support! 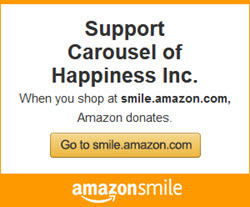 The Carousel of Happiness is a 501(c)3 non-profit organization (Federal ID #: 20-3584335). Your donations to keep the carousel turning are 100 percent tax-deductible. You can adopt a Carousel animal! This is a great way to become a part of the Carousel family. Animal adoption includes a brass plaque next to the animal with room for your name and a short message. Animal adoptions are currently for a period of one year with an option to re-adopt in subsequent years. For more information on which animals are currently available for adoption, visit our animal adoption page. A carousel is more than a ride. It’s a work of folk art. Spinning atop the animals on the outside of the carousel are 18 lovingly restored rounding boards dating back to 1910. 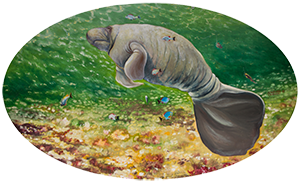 They are precious examples of period carousel paintings created by German immigrant August Wolfinger, known as the “Michelangelo of the Midway.” Adopt a rounding board, and your name in brass will ride with it for one or more years. Or, if you prefer, you can adopt one of the 18 contemporary, interior rounding boards, each depicting an endangered animal. For more information about the individual rounding boards, please visit the Adopt a Rounding Board page. The Carousel is now accepting donations for a bench that will be placed in the Carousel, in memory of Brandon Bryk (1983-2016). Each year, the organization also sponsors Colorado Gives Day, a 24-hour online giving event in which donations are boosted by a $1 million incentive fund. Colorado Gives Day is a good way to participate in philanthropy with thousands of others and support the nonprofits you care about most, making Colorado a better place for all of us to live. We also have several ways to donate inside the Carousel. Just ask one of our wonderful staff or volunteers! Call 303-258-3457 or email outreach@carouselofhappiness.org with your questions on any of the contribution categories above. We’d be happy to discuss your donation with you.